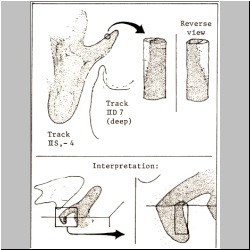 Although some of the Taylor Site tracks were known as early as the late 1960's, it was not until 1984 that two workers (Glen Kuban and Ron Hastings) independently observed interesting color and texture features on many of the tracks that further clarified and accentuated their shapes and details. 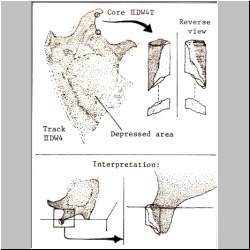 Such features also allowed many new tracks to be recognized on the site, in that they had very little topographic relief (or in some cases, even positive or "raise" relief). 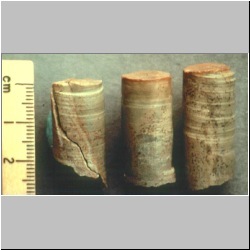 At first the origin of these features were uncertain, and in order to know whether they related to a compaction vs an infilling phenomena, small core sections were taken by Kuban and Hastings (with permission of Texas Dept. 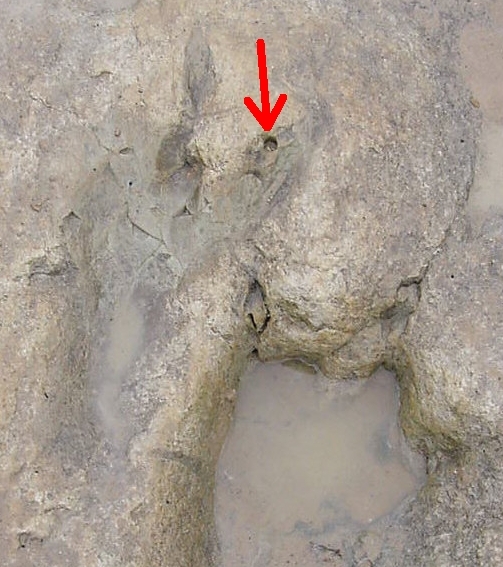 of Parks and Wildlife) on a few of the tracks, at the edge of the infilling and the surrounding limestone. 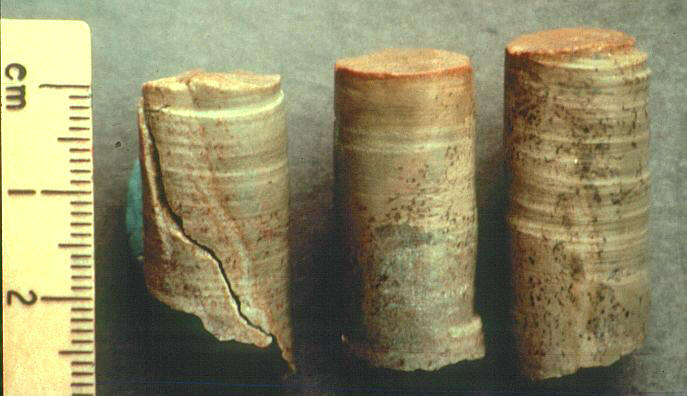 These confirmed that the colorations were indeed due to ancient infillings of the original track depressions. They also showed that before the infilling episode, many of the tracks were at least several centimeters deep. 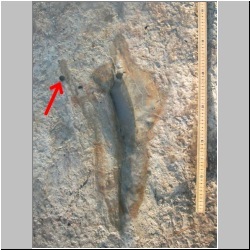 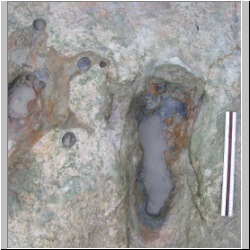 Chemical analysis of the infilling material showed that it was a largely homogeneous iron rich, bluish-grey clay, lacking bedding planes but containing microfossils such as ostracods and foraminifera. 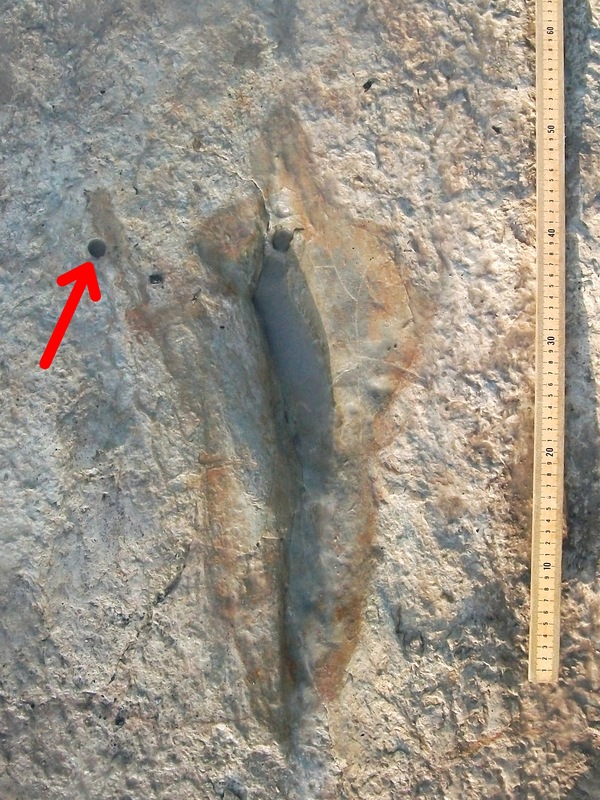 The high iron content helps explain why many of infilling on many of the tracks often takes on a rusty-brown color at the surface, upon repeated exposure and wet/dry cycles. 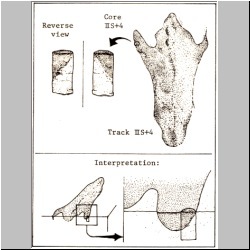 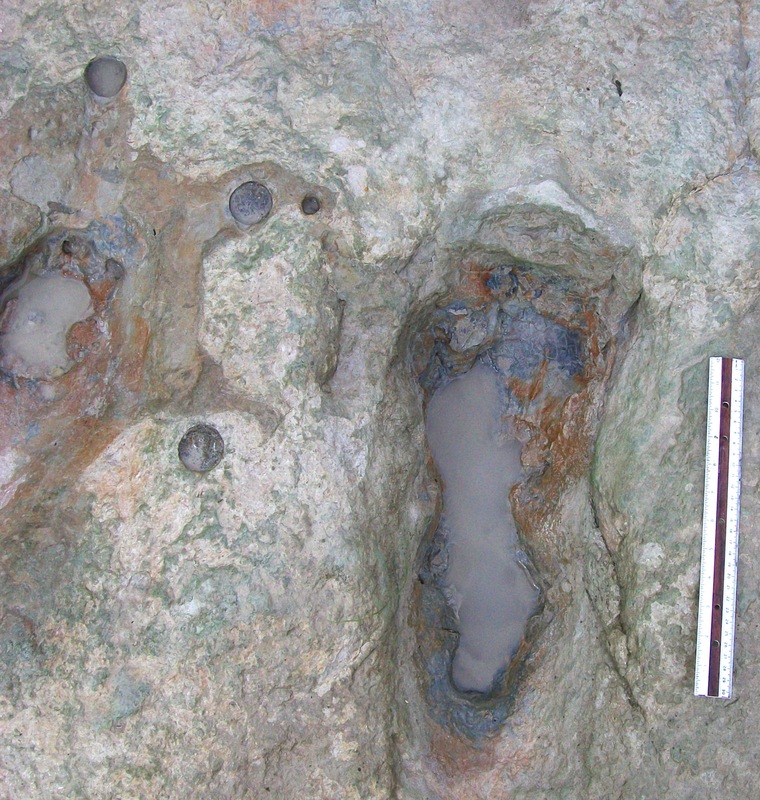 Later larger core samples were taken by John Morris and associates of Institute for Creation Research, ostensibly in order to confirm whether the colorations accentuating the shape of dinosaur digits on tracks they had previously identified as human footprints. 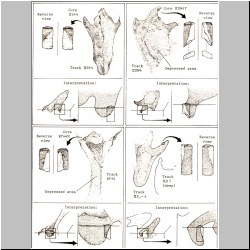 The diagrams below by Glen Kuban show how the Kuban/Hastings core features are interpreted in regard to the infilling concept. 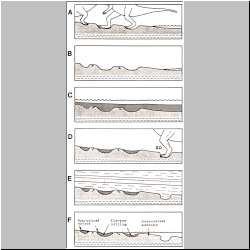 The last diagram shows a likely scenario explaining how the infilling occurred, and led to the color and texture distinctions visible on many of the tracks (except the Deep Dino trail).